Make flat-felled seams for purses, totes and appliance covers with this easy straight stitch technique. 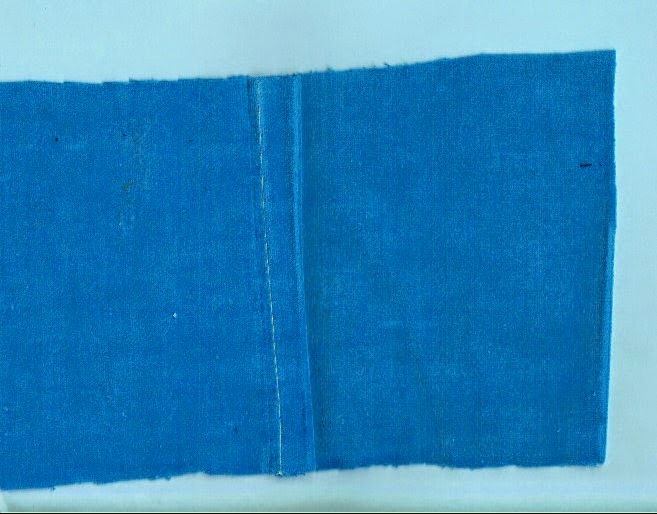 You see flat-felled seams every time you wear jeans, and you know there are no raw edges inside or outside, and they last forever because of the double-stitched technique. Flat felled seams are essential for strength and durability in some sewing, particularly crafts projects. If you want a seam to be smooth on both sides and not fray, a flat felled seam is the solution. The flat felled seam also adds strength to the area where the fabrics meet. 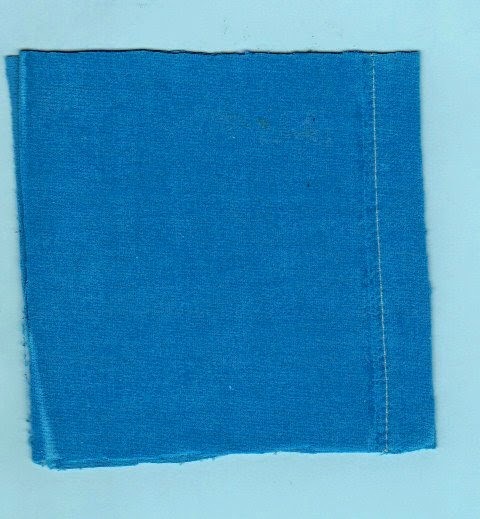 Like jeans, you may wear out the fabric in the areas that get the roughest use, but the flat-felled seam still holds. You can use the flat felled seam for any areas that require stitching two pieces of fabric together. If your pattern doesn't call for a flat felled seam, you can still use it with a 5/8 inch seam allowance, unless the fabric is a heavy corduroy or similar weight. In that case, you may need to add about 1/4 inch to the seam allowance so you'll have plenty of fabric to work with. For a 5/8 inch seam on the pattern, adding 1/4 inch would be a 7/8 inch seam allowance. With a heavy fabric, make a sample first as some fabrics are just too heavy to make a flat felled seam. You can use your ordinary sewing machine and presser foot for a flat felled seam. You'll want to use a sewing machine needle for heavy fabric, as it sews through three layers of fabric for the flat felled seam. We use a seam gauge to measure the seam as we sew. 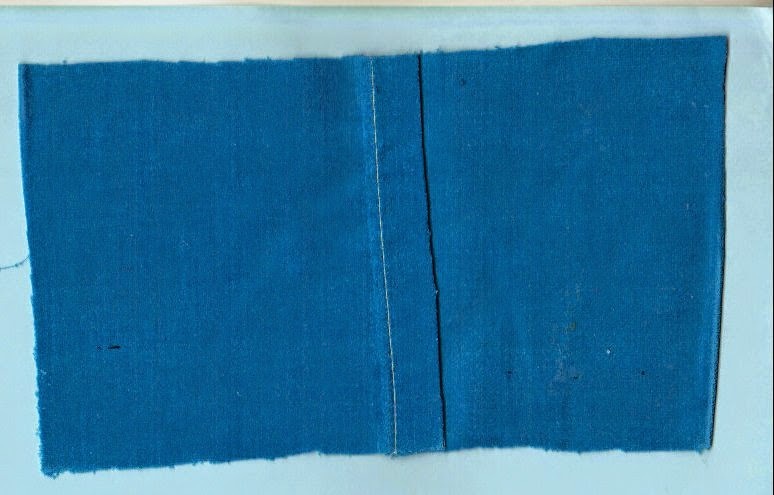 When you sew an ordinary seam, you stitch the WRONG side of the fabric, with RIGHT sides together. 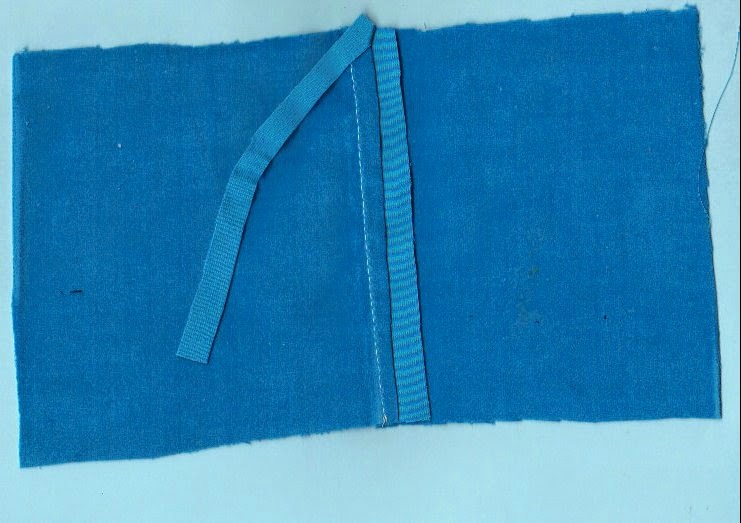 When stitching a flat-felled seam, place the WRONG sides of the fabric together and stitch on the RIGHT side. Stitch the 5/8 inch seam allowance on the right side with wrong sides together. Open the fabric at the seam edge so you can work with a single layer. Trim ONE side ONLY of the seam allowance to about 1/4 inch from the seam. Fold the seam allowance from the wide side of the seam under the trimmed seam allowance. Press or pin if necessary. 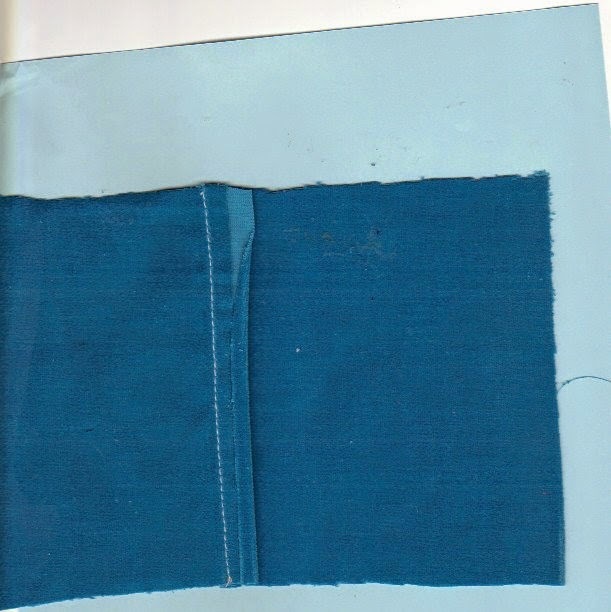 Fold the fabric back so the uncut seam allowance is on the bottom and the cut seam allowance is at the top. Press the long edge to meet the cut edge, pressing the entire length of the seam. Flip the edge of the seam allowance over so the open edge is on the underside and flat. Press if necessary. 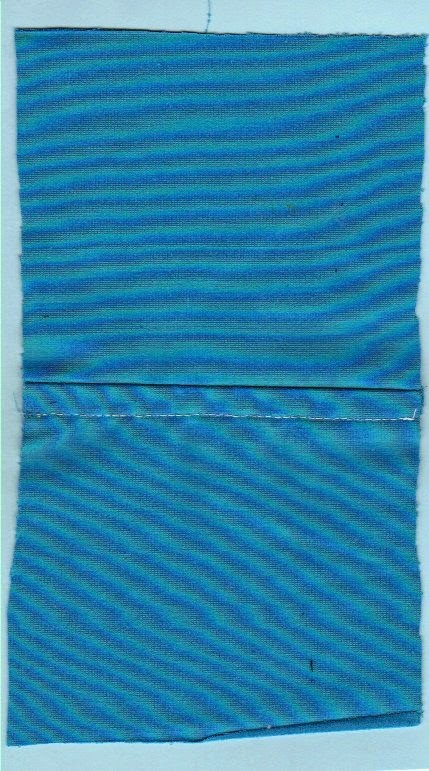 The back of the seam is smooth. This seam works well for purses, totes and handbags as well as kitchen items like toaster covers to make a neat inside appearance. Happy stitching! I've been working on a quilt top this week, but I stopped to make eight washcloths from a towel that was fraying on the sides. I used a double zigzag stitch around the edge and washed them to see if they frayed. They didn't, so they should hold up for a long time.